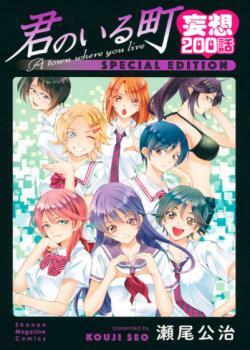 Special Edition of Kimi no Iru Machi. Released on October 17, 2018, as a standalone volume. Featuring main female characters from Seo Kouji's popular series Kimi no Iru Machi in alternative timelines with the Main Character of the series Kirishima Haruto! Previous chapters were done by Red Hawk Scanlations.